The USDJPY is at a 13 year high at the moment with the yen still in a 5000 pip upward trend. When the USDJPY goes up it means that the Yen is weakening, or the US Dollar is strengthening or both at happening at the same time. If you can’t make money in a runaway trend, what market can you make money in? How do YOU trade a runaway trend in any market? Do just get in at any time so that you are not left behind? Do you wait for a retracement and then enter when the trend continues? Do you enter often using buy signals in the direction of the trend? Do you enter on a new high? Do you panic when you see runaway markets? Do you freeze up and do nothing when runaway markets occur? Do you use a set and forget Forex Tool like the Grid Trend Multiplier? Housing and stock Markets often also get overheated. Many of these questions apply to those markets too. NEW YORK, June 5 (Reuters) – The U.S. dollar rallied to a 13-year peak against the yen and rose sharply against the euro on Friday after data showing U.S. job growth accelerated in May, bolstering the case for an interest rate hike as early as September. Nonfarm payrolls increased 280,000 last month, the largest gain since December, the Labor Department said. Economists polled by Reuters had forecast payrolls rising 225,000 last month. While the unemployment rate rose to 5.5 percent from a near seven-year low of 5.4 percent in April, that was because more people entered the labor force. The increase in average hourly earnings took the year-on-year gain to 2.3 percent, the largest rise since August 2013. The wage growth indicated that U.S. inflation was moving closer to the Fed’s 2 percent target, analysts said. After the release of the data, interest rate futures traders bet on a 52 percent of a rate hike in October. But some currency market players thought the figures increased the likelihood of a Fed hike in September. The dollar rose more than 1 percent against the euro, yen, and Swiss franc. The greenback hit 125.740 yen, its highest level in roughly 13 years. The euro turned sharply lower after rallying earlier this week. The Fed’s first interest rate hike is expected to boost the dollar by driving investment flows into the United States. “The concerns on the dollar side have certainly diminished,” Chatterjee said. The euro was last down 1.25 percent against the dollar at $1.10985 after hitting a more than two-week high of $1.138000 on Thursday. 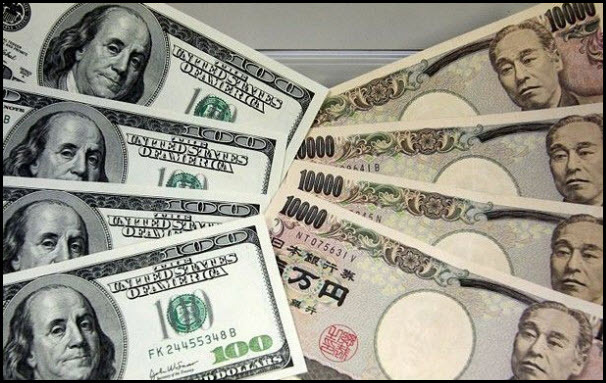 The dollar was last up 1.02 percent against the yen at 125.635 yen. The dollar was last up 1.3 percent against the franc at 0.94575 franc.